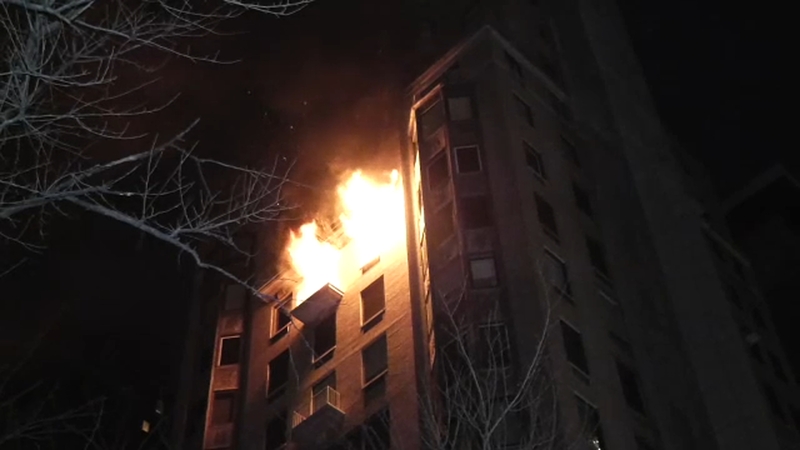 NEW YORK (WABC) -- Tragic fires at high-rise buildings in Manhattan and Queens Saturday left three people dead. Meanwhile, a family breathed a sigh of relief when a 13-year-old girl with autism who went missing outside a Whole Foods was found safe on a Brooklyn subway. Here's a look at the must-read stories from the weekend. John Merow, the former chairman of a law firm, and his wife Mary were killed when broke out early Saturday in their apartment on the ninth floor of the 27-story River House on the East Side of Manhattan. Firefighters battled an apartment fire that broke out late Saturday night at a building in Rego Park, Queens. 51-year-old Anna Latek was found inside the apartment and died at the hospital of smoke inhalation. Naveen Dhaliwal has the latest on the deadly fire in Rego Park. Police say someone found 13-year-old Alexandra Zablan on a train at the Utica Avenue subway station in Brooklyn, nearly seven miles away from where she disappeared. A teen with autism who went missing has been found safe on a subway. Dinner at a fast-food restaurant in Queens came to a crashing halt Saturday night when a driver plowed into the eatery - in reverse.